MDC Network's Melissa Daar Carvajal covers ten ways to beef up a social cause pitch deck. As organizations move into the realm of creating projects pitched to social impact investors, communicators must craft pitches calibrated to the investment community, a significantly different audience than our usual public. In this world, projects are sought which demonstrate an expected return for investment – and social causes can easily be distant and misunderstood. Recently, MDC worked with Thrive Foundation for Youth in developing its pitch deck for potential investors. 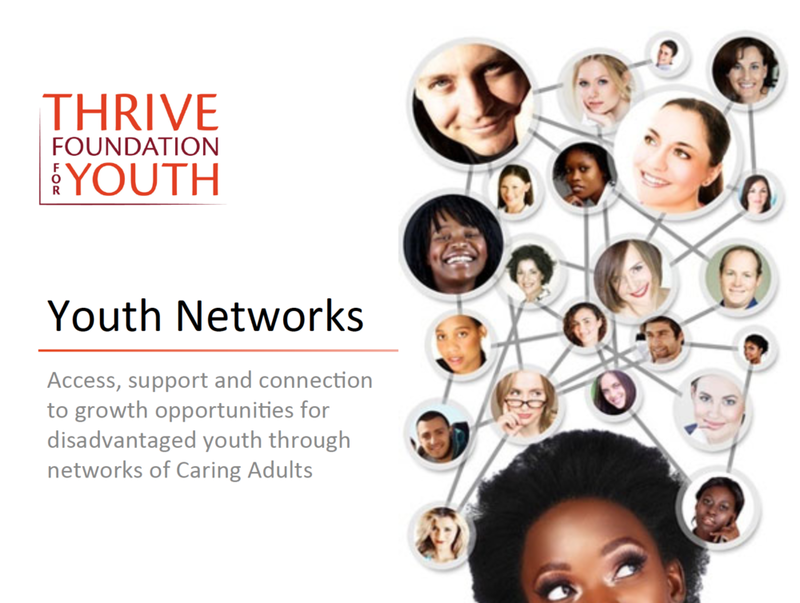 The foundation’s YTH NTWRX is a mobile tool providing access, support and connection to growth opportunities for disadvantaged youth through networks of caring adults. You can see our pitch deck here. Here ten learnings to consider in creating a social impact pitch deck for your investors. 1) Explain the reality of your “customers”. When you are presenting to an investor with little experience or interaction with the non-profit world, your biggest challenge is to illustrate the reality of your clients’ lives or the problem you are addressing. In one of our experiences, our potential investor couldn’t understand why non-profit program couldn’t simply pay enough to support the revenue model. Make good use of stories, case examples and quotes to support your case. 2) Provide revenue scenarios and or something to relate to ROI. These investors are very much focused on the bottom line. For social impact, the return on investment is not as cut and dried of a formula as those of business. However, your deck should demonstrate your project’s impact and how it will be measured. 3) Include third party validators. For some investors, your social cause pitch might be the only one or one of the few that they see. For this reason, it’s important to use validation from third parties that are viewed as independent and trustworthy by your audience. Data from universities and research institutions or aligned for-profit entities are good choices. Quotes and numbers are the most convincing. 4) Figure out if the deck is for presentation or reading. You might need two decks. One sent for reading – the other as background for presenting. Find out which or make both. 5) Use numbers. We love words and stories, but showing the problem and solution in terms of numbers is the usual way that investors see information. 6) Use stories too. As a communicator, you know this. Start or finish with a story to illustrate the problem and why your project addresses it. Use actual people if possible. Make it emotional, investors have hearts just like everyone else, but keep it real. 7) Get it designed professionally. We would posit this is essential with any deck. The goal is not to make it slick, but engaging and readable. 8) Train your presenter. If your deck is going out with a presenter, work closely with her on the presentation. Over-prepare them – and work on the questions that they must be prepared to answer. They’ll not have much time to make their case so it’s critical that they can speak concisely and powerfully. 9) Promote your team’s expertise. It’s the most important part of your pitch. Investors are being pitched before the product is made. They depend on knowing the team – and being confident that they will be able to do what is being proposed. Your deck must demonstrate their abilities and expertise as well as give the investor that confidence that they are up to the task at hand. 10) Keep it simple! Like all communications, get to the kernel of the idea fast and simply. You should develop about ten slides. It’s likely someone will be reading it alone first, and ten minutes is the most you will have. What are some pitches you’ve worked on? Any learnings you’d like to add?